GLOWING in the early-morning glare of the Bangkok sun, she always greets me with her trademark smile followed by the question “manao“? 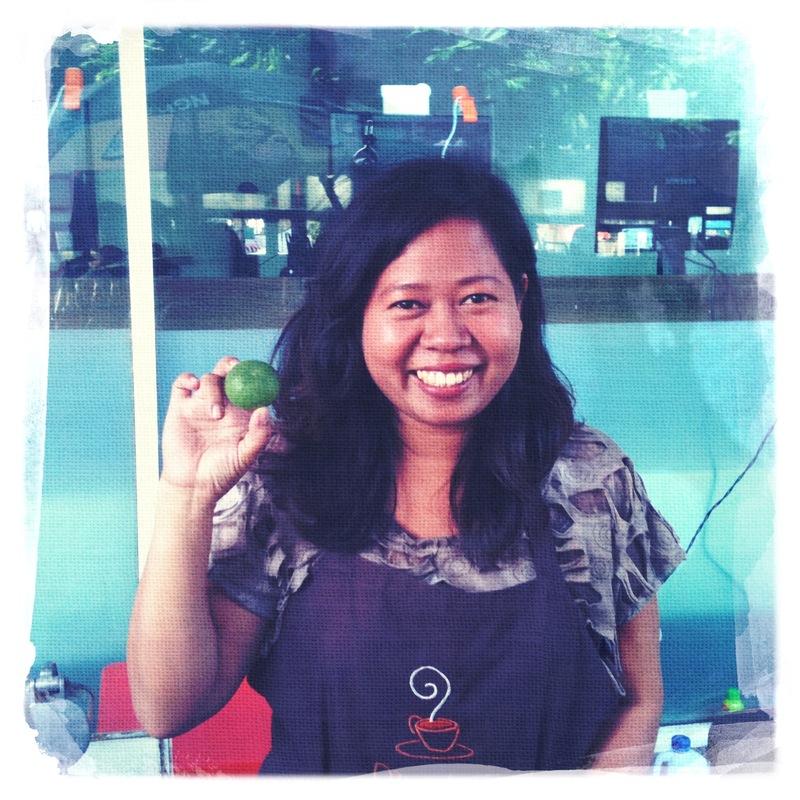 She is Manao Lady – the creator and provider of the icy-cold and salty lime juice that refreshes me after my daily morning walk along Rama IV. Her stall is affectionately known after her nickname – “Naty”. Manao Lady is always there from sunrise to late afternoon – providing Bangkok’s workers in the Khlong Toei commercial district (or those passing through on their scooters), with refreshment. Not even the swirling exhaust fumes from the choking traffic on the eight-lane artery into the city or the piercing trill of motorcycle horns seem to dampen her enthusiasm to serve her customers. She has a simple set up – a small, rectangular and orange-coloured counter abutting a building on a sidewalk crowded with other food vendors near the Khlong Toei Kasikorn Bank branch on Rama IV. On her counter she has a coffee machine, an old-fashioned steel juice presser (which can be found in almost every Thai home), tins of condensed milk and a basket full of round Thai limes. To one side is a large plastic esky full of bottles and cans which are beading and dripping with the sweat of icy condensation. It’s all there: krating daeng (red bull), Birdy iced coffee and the usual assortment of soft drinks that can be found at the nearby 7-11 (but at slightly better prices than the convenience chain can offer). On a side table she has the daily newspapers and latest Thai gossip magazines, and behind her are the eskies full of commercial ice (and a small fan to keep her cool!). If instant refreshment from a can or bottle isn’t your thing then Manao Lady’s fading menu (hand written in Thai), offers an array of beverages that she will prepare on the spot. Coffee (hot or cold, black or white, sweet or as it comes), the milky and orange-coloured Thai iced tea, and a variety of simple citrus juices – the best of course – her concoction of ice, lime juice, salt and sugar syrup. It is for the manao that I come for everyday. For 20 baht (65 cents) my auntie will squeeze two whole limes into a plastic cup full of fresh ice (plastic bags with a straw were used not long ago). She will add a pinch of salt and a few millilitres of sugar syrup (to soften the blow of the acidity). She will taste, correct with more salt or sugar syrup if need be – shake the cup to cool the mixture down and deliver. This is the perfect hot-climate drink – the ice cools you down, the lime refreshes and the salt replenishes the ions lost from sweating in the warm and moist humidity that blankets Bangkok. Although I am no longer in Bangkok, Manao Lady is still there – smiling and chirping to her customers from sunrise to sunset and making her living replenishing and revitalising Bangkokians along Rama IV so they can make theirs. Update: visited Naty in Bangkok in November 2012. She has done a little bit of renovation work on her stall (her manao drink business is booming). She is still smiling. The verdict: Who needs Gatorade when you can have such an icy cold and revitalising drink in the tropics. Manao Lady takes pride in her work and endlessly keeps Bangkok refreshed and replenished. What: Drinks stand on Rama IV at Khlong Toei, Bangkok, Thailand. Open 6am to 4pm (but she runs out of limes around lunchtime). To get there catch the MRT to Khlong Toei station (exit 1) and turn right at once exited and walk about 200 metres along Rama IV. Her stall is right next door to the 7-11 and outside a pharmacy. 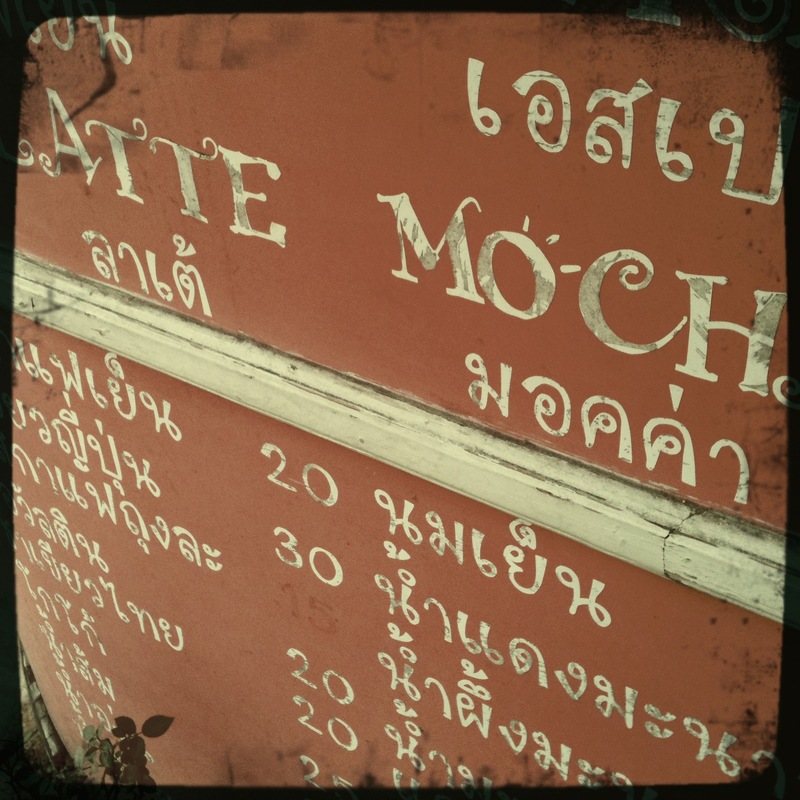 Ate (drank) there: Every time I am in Bangkok (but on this occasion November 2010). This entry was posted in Street Food, Thai, Thailand and tagged Bangkok street food, Lime juice, manao, Thailand. Bookmark the permalink. Thank you for your post….also i just got your copy as your dad had sent it to me last week….am very happy to see that……..actually im not sure if i recognise your face or not so plz send me some of you pic so i can know atleast …..thanx again and hope to see you soon.